It Came From the Second Floor. The Story of Our Teen Podcast. Teens at Central Library are making airwaves in the podcasting world. 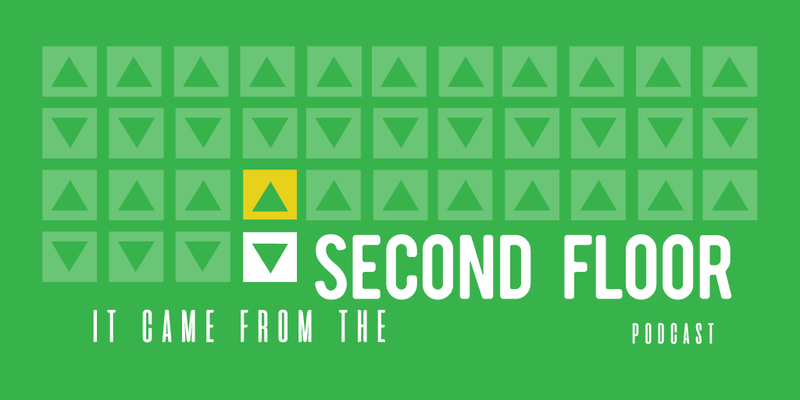 It Came From The Second Floor is our monthly podcast made by teens, for teens. And it quite literally comes from the second floor of Central Library. We'll be sharing all new episodes, here on the Teens page of our website. You can also listen to all current and past episodes here in our blog, and here on SoundCloud. When Central Library opened in 2014, Teen Services staff defined a mission: to really be there for teens, all the time, and listen. Out of this, a Teen Advisory Council was formed, and amazing ideas began to fly. Including the idea to use our 2nd Floor Media Studio as the launch point for a teen-led podcast. So it began. The It Came From the Second Floor podcast was born. Staff dove into research; consultants were brought in as guest speakers; and teens took over the studios to learn how to use the podcasting gear and software, and find their voices. As long as we’re casting pod and not shade, everything is up for gabs. Every segment differs based on the person behind the mic, but a thread runs through it all: Our podcast is made for people trying to navigate life and the world, just like us. It's real, it's worthy, and it's fun. Our podcast team meets in the Teen Space at Central every week to talk through and map out upcoming episodes. We take turns recording in the studio, and we all pitch in to work on different elements of the show, from naming episodes to editing audio. At Central Library (and many other branches) Teen Volunteer positions are treated like jobs, and positions open up seasonally. ICFTSF is one of the many learning experiences the Library is exploring. Interested teens form a new podcast group each season and quickly become trained producers, writers, hosts, and editors. They each select and develop stories and reports for 3 or more episodes. If you want to add your voice to the mix, learn more about Teen Volunteer Opportunities. We encourage you to tune in with us every month to see what's new from It Came From the Second Floor.